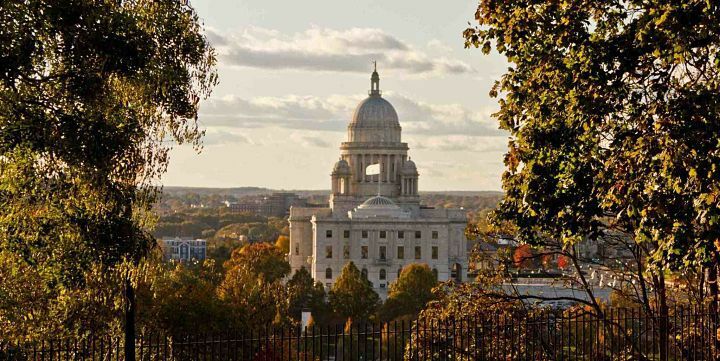 At the center of the nation’s bittiest state lies beloved Providence. Among the locales in New England, it stands as a compromise between extremes. Not as large as Boston (nor as expensive), but still big enough to have significant cultural cachet and a varied LGBT community. Many who visit feel the open-minded, welcoming vibe is something they could get used to. 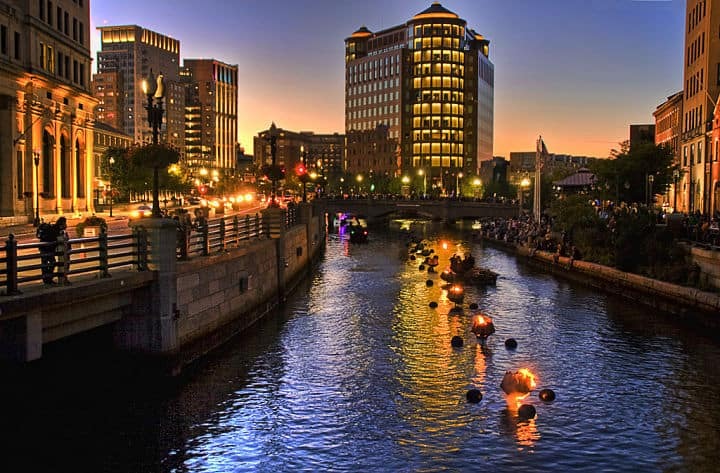 There are a lot of cities out there to love, but Providence might be the one you want to gay marry. When to go? Depends what you want. Springtime is great for seeing the green come back to life after a snowy winter. The most dramatic season is autumn. The famous New England foliage change explodes across the city as the air becomes crisp. 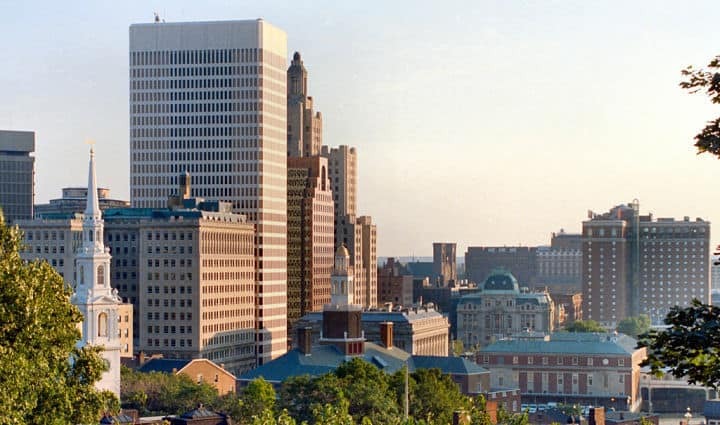 Walking and driving around Providence is a treat for those who love architecture and green spaces. Eighteenth-century houses have been preserved, and some residents, especially those on the East Side, take great pride in keeping them as authentic as possible. Since the city is relatively small, you can see much on foot. 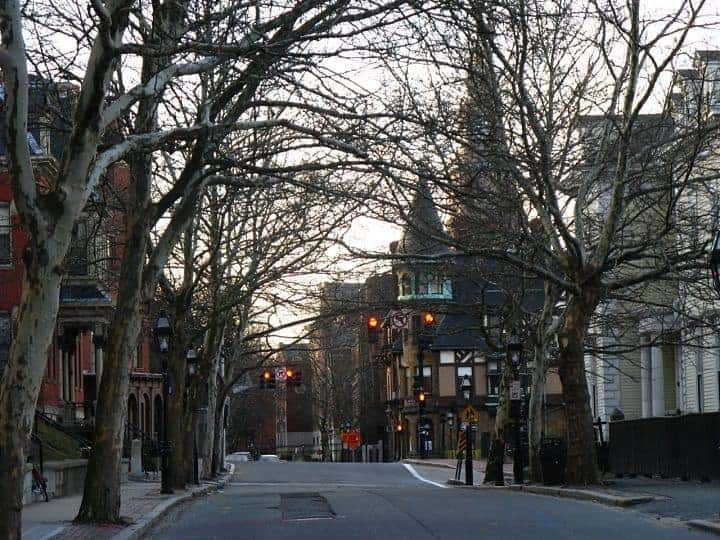 Two popular streets are Thayer Street, serving the college crowd with coffee shops and eateries, and Wickenden Street, where you’ll find eclectic restaurants and exceptional boutiques. Much of the energy of the city is driven by the tender sprites running around to discover themselves, and each other. If you can’t join them, at least you can watch. Young gays and lesbians (and the ones that don’t know that they are yet) flock to Providence to attend its liberal colleges. Brown University, the Ivy League’s homo factory, creates those progressive men and women who want to change the world, and sometimes do. The Rhode Island School of Design (RISD) stands as one of the country’s best art schools, and we all know all artists are at least a little gay. And Johnson and Wales University is renowned for its world-class chefs. These schools and others not only add to the gay population, but their thoughts and creations add to the overall charm of Providence. Foodies, take note. 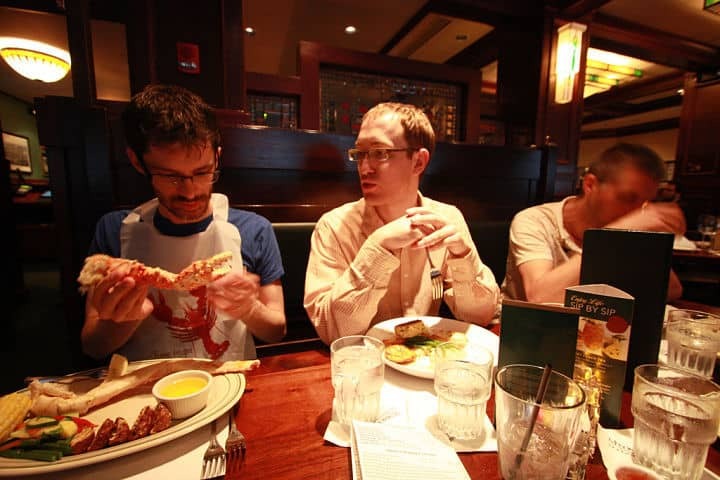 Providence is said to have the highest number of restaurants per capita. 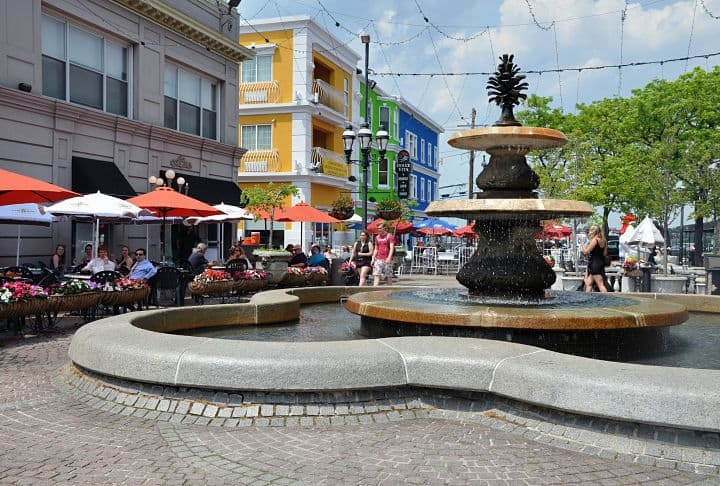 Head to Little Italy on Federal Hill and be prepared to roll back to your hotel. We gays know drama, and we know presentation. So the art galleries and theater there are top notch. 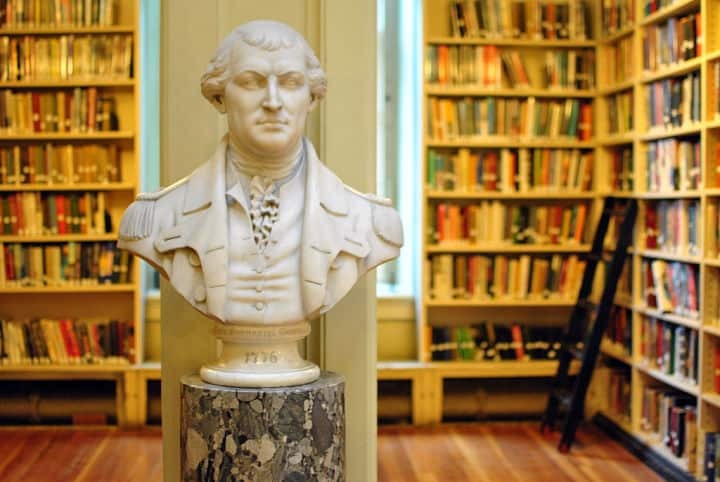 (Tip: Check out the Trinity Repertory Company.) An abundance of culture provides you with more to do and see than you might expect for such a small city. But as you’ll learn, the city is full of pleasant little surprises. Gay nightlife in Providence is young, stylish, but not overly pretentious. Several spots in town are friendly and inviting. Lesbians will be happy to note that there are dedicated spots for them, though the gays and lesbians actually mix quite well. Many people come from neighboring cities keeping the population fresh—not to mention the occasional sailors from nearby naval installations. And if this is your thing, you should note that the capital of the littlest state has New England’s biggest bathhouse. Whether or not you partake, it’s nice to know that the general level of tolerance is high. During your daytime walks and your nighttime debauchery, you’ll feel at ease in this city that somehow manages to be quaint and hip at the same time. If it’s true love, you could find yourself permanently joining the proud residents in their hilly little heaven.